Puerarua Mirifica is an indigidenous herb from Thailand and is known in Thai as “Kwao Kreu” or “Kwao Kreu Kao.” It belongs to the family Leguminosae and is related to soy, beans, and peas. Local communities in Thailand have been using Pueraria Mirifica for well over a century, mostly for its rejuvenating qualities. According to Thai traditional medicine, this herb is recommended generally to anyone who is looking to grow or strengthen hair, improve complexion and decrease wrinkles, strengthen eyesight, and improve energy and vigor. In 1932, Dr. A.F.G Kerr, the Director of the Botanical Section of the Journal of the Siam Society piqued the interest of the international scientific community to the benefits of Pueraria Mirifica, which subsequently led to the discovery of a very potent phytoestrogen that is unique to this plant and this plant only. How does Pueraria Mirifica promote breast growth? Estrogen is the hormone most responsible for breast growth. The three main estrogen hormones include: estradiol, estrone, and estradiol. Estradiol is the strongest of the three. A girl begins secreting estrogen hormones between the ages of eight and thirteen, which marks the beginning of puberty and causes the breast growth spurt that teenage girls experience. By supplying the body with estrogen, one can mimic the effects of puberty and induce breast growth, which is why many natural breast enhancement products contain some form of phytoestrogens. Pueraria Mirifica differs from the phytoesrogens typically found in other phytoestrogenic herbs because PM contains Miroestrol and Deoxymiroestrol, which possess the highest estrogenic activity due to structural similarlity to estradiol, the strongest of the estrogen hormones. In addition to these two potent phytoestrogens, Pueraria Mirifica also contains isoflavones, which also mimic the effects of estrogen in the body. How do I take Pueraria Mirifica? Unfortunately, there is no one “correct” way to take Pueraria Mirifica. Since the manufacture and consumption of herbal products is not an exact science, there is no exact dosage. Instead, Pueraria Mirifica should be taken in doses that are comfortable for your individual body and based on your menstruation cycle. Click here for more information on how to take Pueraria Mirifica. Can I use other breast enhancement creams while taking Pueraria Mirifica? Yes, and it’ll be helpful too. Pueraria Mirifica is available both in PILL and CREAM form. The pills target your estrogen levels directly from the inside, while applying Pueraria Mirifica directly to the breasts allows your skin to absorb the entirety of what is applied to it, rather than filtering it through the liver and the kidneys. By doing both, you’re able to maximize the efficacy of the PM product. But make sure your PM breast creams are also made from the highest quality PM available. What are the best Pueraria Mirifica products? 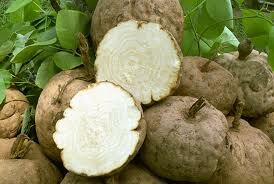 Remember that not all Pueraria Mirifica is alike. If you want results, you need to only use Pueraria Mirifica that is grown in Thailand and is from farmed cultivar. 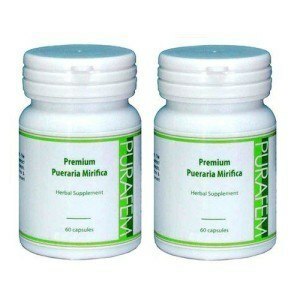 PURAFEM capsules contain 350mg of ONLY pure Pueraria Mirifica. No other additives. The Pueraria Mirifica used by PURAFEM is premium farmed cultivar. The capsules only include ingredients that are farmed according to the standards of Good Harvesting Practices (“GHP”) and for your aditional peace of mind, PURAFEM claims to be the only breast enlargement product that has been approved by the FDA. The company itself is established and reputable and they offer a 60-day money back guarantee on all their products. 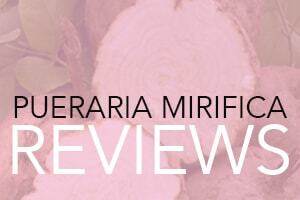 Check out all of Purafem’s 100% Pueraria Mirifica products! Well, meet Barlowe’s Herbal Elixirs. Each Barlowe’s PM capsule contains 550mg of 100% white kwao krua powder (no starches, fillers or added chemicals any kind). 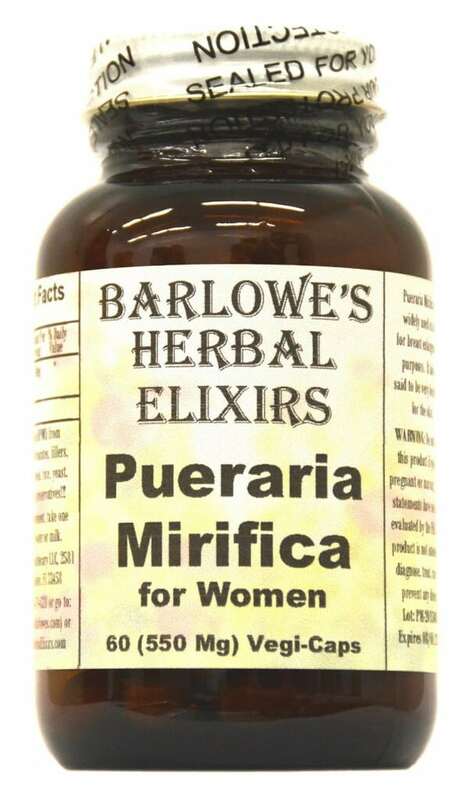 Although Barlowe’s is a recent addition to the line of 100% Pueraria Mirifica products, we really like it for its price tag ($12 per bottle), its potency (550mg per pill), its lack of filler ingredients, and the fact that it is pure white kwao krua (the kind of PM known for breast enhancement benefits). 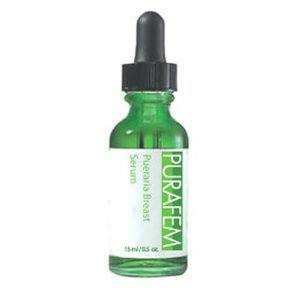 PURAFEM offers both a Pueraria Mirifica cream and a serum. The ingredients used in both are the same, but there is one crucial difference – the size of the particles in the cream and the serum. The PURAFEM serum contains nano-particles, which are extremely small and designed to penetrate deep within the breast. The PURAFEM cream is designed to target closer to the surface of the skin. For maximum results, the serum should be applied before the cream. The Pueraria Mirifica used by PURAFEM is premium farmed cultivar. 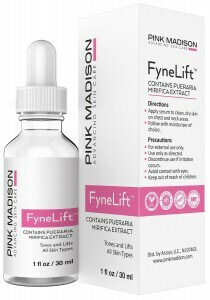 The company only includes ingredients that are farmed according to the standards of Good Harvesting Practices (“GHP”) and PURAFEM claims to be the only breast enlargement product that has been approved by the FDA. Check out Purafem’s cream and serum set (you get a discount if you get both)! It is the most natural, potent PM cream we’ve ever tried. And we’ve tried a lot.